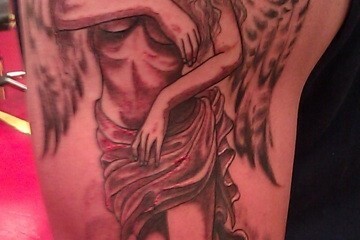 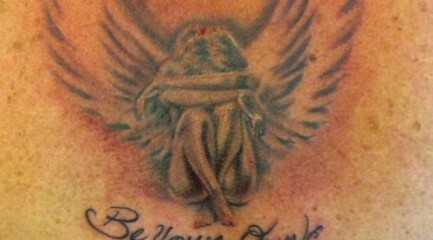 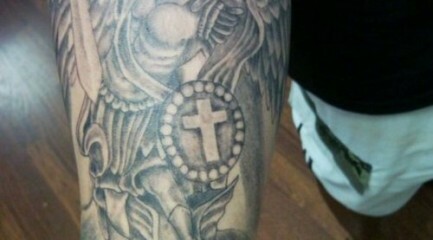 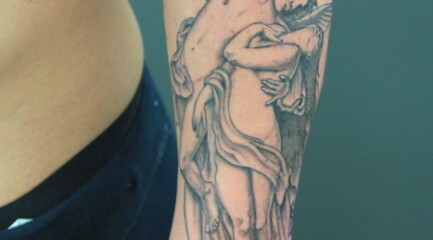 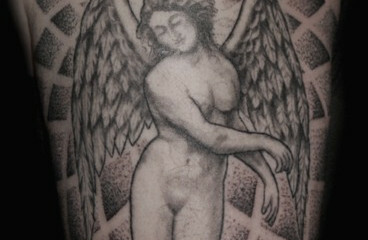 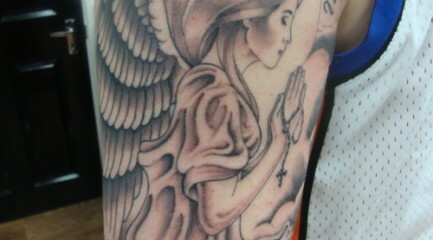 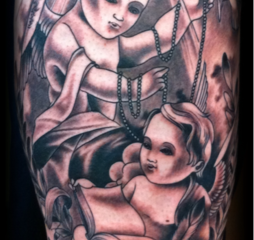 Angel tattoos are a favorite among devote religious folk. 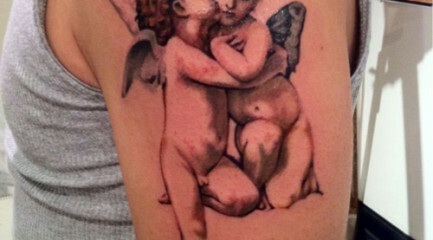 They can be a constant reminder of those watching over them, a dedication to a passed loved one, or a depiction of an angels' wings. 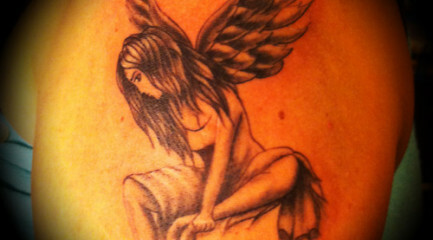 Angel tats certainly come in many forms including fallen angels, prating angels, flying angels, guardian angels, and many more. 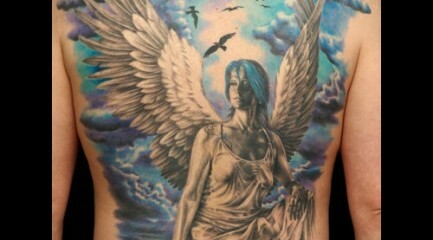 Check out all kinds of angel tattoos from around the world below!